Today, the two companies announce that they’re joining forces. Birchbox will be taking over a big chunk of the floor space at 11 Walgreens locations over the next few months. In December, the first six stores will open in New York City, Chicago, Los Angeles, and Minneapolis, and then in early 2019, five more stores will open in Chicago, Dallas, Los Angeles, and Miami. These new retail spaces–which range from 400 to 1,000 square feet–will look like mini Birchbox stores. Birchbox will curate full-sized skincare, makeup, and hair products from more than 40 brands. 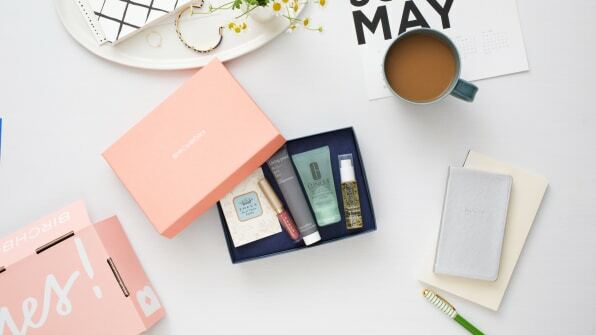 These are brands that Birchbox has incorporated into its subscription boxes in the past and has identified as customer favorites. The Birchbox-branded parts of the store will be beautifully designed with warm lighting, pops of color thanks to interesting wall paper, framed Birchboxes as artwork, and powder-room-inspired makeup stations. 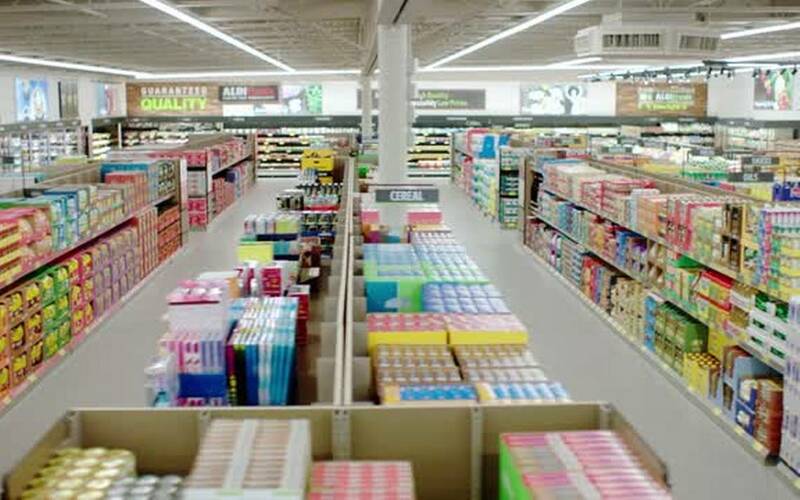 While Birchbox is continuing to focus on its subscription box business, it will also be translating its core premise–making beauty discovery fun–into a physical store experience with this Walgreens partnership. There will be Birchbox-trained beauty consultants on hand to help guide the customer through the space and introduce them to new products. And there will even be a Birchbox-specific cash register, so the entire experience will feel separate from just going for a drugstore run. “I think a big part of our realization at Birchbox–and this really resonated with the Walgreens team–was that there is a huge opportunity to serve the masses by allowing them to stay passive, but give them the same kind of pleasurable experience of someone who is beauty-obsessed,” Beauchamp says. Why it’s hot: This is a great example of a strategic partnership that benefits both brands — expanding Birchbox into new clientele and retail locations, and elevating Walgreens beauty offerings. Startup company B8ta is taking the retail store experience concept one step further. B8ta sells no merchandise itself, instead charging “subscriptions” that brands pay to use their spaces and their Built by b8ta platform, for short or longer terms. Built by b8ta, a store-as-a-service platform, includes checkout, inventory, point of sale, inventory management, staff scheduling services and other capabilities. Lowe’s partnered with b8ta in 2016 to roll out a series of SmartSpot shops inside the home improvement retailer’s stores and earlier this month, Macy’s announced a plan to scale its new pop-up concept, The Market @ Macy’s, testing format spaces powered by b8ta’s technology. Read more at Retail Dive. As ecommerce continues to rapidly grow and brands try to figure out the interplay of on and offline, we have a front-row seat to retail evolution. Spending on loyalty programs is through the roof – experiencing an annual compounded growth rate of nearly 21 percent. And no wonder – returning customers spend up to 67 percent more than first-time customers. But most loyalty programs don’t generate loyalty. One recent study found that customers of retailers that offer a loyalty program were not more loyal than customers of those that don’t. Another recent study found that only 42 percent of loyalty program members are active or engaged. While it pays to have loyal customers, you can’t simply pay customers to be loyal. What if instead of paying customers to be loyal, those same customers actually paid the companies they want to be loyal to? It’s a concept Amazon understands well. In the latest quarter, Prime membership grew by 47 percent. Prime members spend 250 percent more a year than non-members. And while standard loyalty programs tend to bleed engagement over time, Prime members actually become more engaged. What companies like Amazon, GameStop, Sephora and Restoration Hardware understand is that there’s a difference between loyalty and love. Loyalty simply means you’ve managed to put a card in the customer’s wallet. Paid membership means you’ve secured a place in the customer’s heart. At the same time, charging a membership fee creates an onus on the part of the company to deliver value against the heightened expectations the fee creates. Expanded notions of loyalty in CRM can benefit both the company and consumer – a mutual value exchange that can breed longer-lasting brand love. Stealing your family and friend’s membership cards is now no longer the only way to shop at Costco without a membership. The members-only wholesale retailer has recently partnered with Google’s shopping service, Google Express, to make some of its products available online in select locations where the Express service operates. While there will be none of the delicious free samples Costco is known for, online shoppers can still purchase many of the retailer’s most popular items, including in-house brands like Kirkland. The service also features items from other major retailers, including Walmart and Target. Shoppers simply place their orders through the Google Express website, app, or Google Assistant-enabled devices like Google Home. Orders are then shipped directly to the customer’s home, and if they spend over a certain minimum, Google will waive the shipping fee entirely. The only catch is that non-Costco members who make orders through Google Express must pay a $10 “access fee” to purchase Costco products, though this doesn’t apply for Costco members. The service is also only available in select locations, as shoppers in 10 states including Arizona, California, Colorado, Idaho, Montana, Nevada, South Carolina, Utah, and Wyoming cannot order without a Costco membership at all. Retail brands are scrambling to provide better experiences for customers — via tech, via access, via personalization and more. By partnering with major retail players like Costco, Walmart and Target, it places Google in a better position to challenge Amazon, which is currently in the process of expanding its footprint into physical retail spaces, namely through its acquisition of Whole Foods earlier this year. Amazon joins the augmented reality scene with a feature on their application called AR view. This allows customers to virtually view how an item would look in their home prior to their purchase. When a customer gets on the Amazon application they access the feature through the small camera icon located at the top right of the screen, and then choose the AR view option. From there, they can locate thousands of products to virtually place into their home to see how they would look. The customer viewing the item can rotate it around in a 360 degree fashion to see how it would look from multiple different angles in their home. This feature was announced alongside Amazon opening their Black Friday Deals Store. The feature comes exclusively to Amazon application users who have an iPhone with the iOS 11 update. Amazon plans to make the feature available for Android phones sometime in the future. Expanded application to something IKEA offered years ago! To align with Columbus Day, Astral Tequila presented “Columbus Day: A Reenactment,” an ad starring Jonathan Goldsmith, the Artist Formerly Known as the Most Interesting Man in the World. To say that Columbus’ legacy is complicated is a vast understatement. When you touch upon this realm, there’s sure to be backlash, but they’re not taking sides, they’re making light of what we know as the facts: An explorer set out for India and landed in a new world, one already inhabited albeit, although he claimed to have found it. I’m steering clear of the controversial nature of “Columbus Day” theme and going for what I like most about this spot: re-purposing of a commercial celebrity. It reminds me of the ‘can you hear me now’ guy’s resurrection by Sprint. One brand’s trash is another’s treasure! Seeking an edge against Amazon, Walmart is pushing a service that delivers your order to your car. Customers never have to step inside the store. A personal shopper is something you might expect at Bergdorf Goodman or a boutique on Madison Avenue. Not at the Walmart on Route 42 in Turnersville, N.J. But that’s where you will find Joann Joseph and a team of Walmart workers each day, filling up shopping carts with boxes of Honeycomb cereal, Cheez-Its and salted peanuts. The customers select their groceries online, and then the shoppers pick the items off the store shelves and deliver them to people when they arrive in the parking lot. Customers never have to step inside the store. “It’s about saving people time,” Ms. Joseph said as she helped load groceries into the back of a minivan one morning. 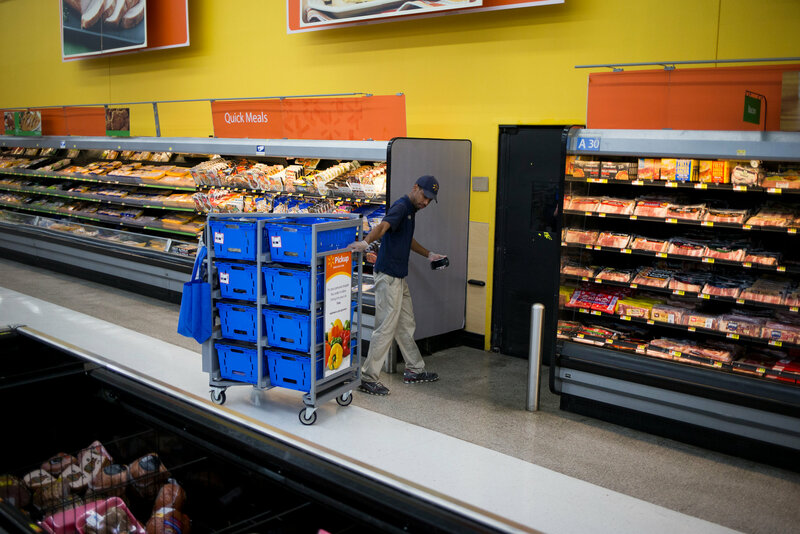 Walmart, which is one of the largest food retailers in the United States, sees grocery pickup as a way to marry its e-commerce business with its gigantic network of stores — a goal that has eluded many other retailers. The company started ramping up the service two years ago, and it is now available in about 1,000 of Walmart’s 4,699 stores across the country. The initiative is the latest salvo in Walmart’s retail battle with Amazon, and the centerpiece of its strategy to gain the upper hand in the pursuit of consumers looking to streamline their food shopping. Many retailers are focused on new ways to deliver groceries to people’s homes — particularly in big cities. Walmart is betting big on the millions of Americans in suburban and rural areas who drive everywhere. The company is trying to make ordering groceries online and then picking them up in your car as seamless as a fast-food drive-through. Amid this heated competition, Walmart has been experimenting with different ways to get an edge. In a few cities, it works with Uber to deliver groceries to homes. And last month, Walmart said it would begin testing a home-delivery service in which a worker loads the food into the refrigerator, even when no one is home. The customer can watch the process remotely from a home security camera and track when the delivery worker enters and leaves the house. While these initiatives are limited to only a few states, the company’s grocery pickup is widespread. Walmart is betting that a big part of the country (“from Scranton to Sacramento,” one Walmart executive said) is more of a drive-through than delivery culture. This is business-model interesting! There is a lot going on in the grocery industry to deliver on customer demand for convenience. Walmart, as king of retail, needs to innovate while ensuring that they can maintain their fundamental model and prices. Fresh Direct, then UberEATs then Amazon + Whole Foods — create interesting pressures. Will Walmart stay ahead? Have Amazon and Walmart met their match? German discounter Aldi is betting billions it can win over American shoppers. How? By offering them way fewer choices than rival retailers. The unlikely proposition has worked nearly everywhere Aldi has set foot. The company is now one of the biggest retail groups in the world with more than 10,000 locations, businesses in 18 countries and annual revenues approaching €70/$83 billion. The American grocery market, one of the largest and most competitive in the world, is on the cusp of dramatic change since Amazon.com Inc. acquired Whole Foods Market Inc. this summer and Google struck a partnership with Wal-Mart. But the Germans have a plan, forged in the rubble of World War II. Aldi offers a deliberately pared-down selection – most stores stock between 1,300 and 1,600 items. By comparison, Wal-Mart’s Supercenters have in recent years carried around 120,000 items. On a basket of 30 typical household items, Aldi’s prices are on average almost 17% lower than Wal-Mart’s. Aldi is gambling it is more in tune with the American tastes, rolling out small, nimble stores instead of sprawling warehouses and supermarkets that take longer to navigate. It’s another example of how major players are betting on simplicity, standardization and speed. And a reason to pause and consider the trade off between choice and control versus convenience and ease. An assistant professor at the University of British Columbia with a specialty in consumer behavior found that people shop differently on touchscreen devices than they do on their desktop PCs. On phones, people are more likely to spend money on indulgent, hedonistic things, like movie tickets and dining out. And on PCs, people prioritize more practical, utilitarian things, like furniture and haircuts. 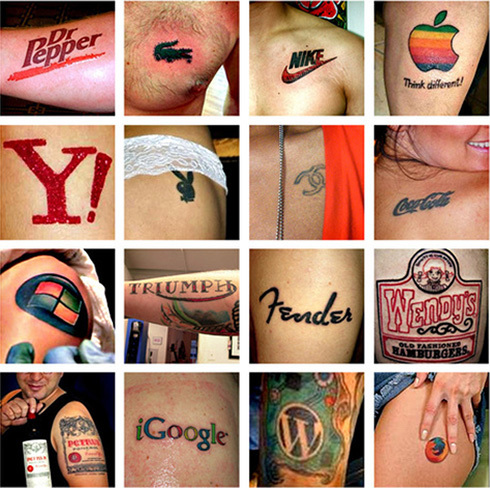 Why it’s hot: Should brands or retailers place products differently according to the screen? It’s interesting to think about what the world could look like when a number of often separate technologies come together. This may just be a primitive attempt at imagining it, but imagine the ultimate convenience provided by combining a number of technologies individually aimed at creating convenience for people. Anything could be delivered to you wherever you are, without direct human assistance. “April the Giraffe” – a wildlife park’s pregnant giraffe, April, is set to give birth any day now, and the internet is watching. Toys R Us has capitalized on all the eyeballs by sponsoring the zoo’s live feed of April. The buzz has come in the form of genuine excitement and anticipation as well as conspiracy theories. Why it’s hot: Toys R Us saw the simplest of opportunities – a basic sponsorship getting their brand name and logo in front of hundreds of thousands of people who likely fit within their target demo – and seized on it quickly, having to do little more than pony up the cash to support the zoo. It remains to be seen if the whole thing is truly organic, or if it’s a PR stunt orchestrated by Toys R Us, the zoo, and/or Doubletree Hotels whose local franchise has also placed advertising on the giraffe’s dedicated landing page. 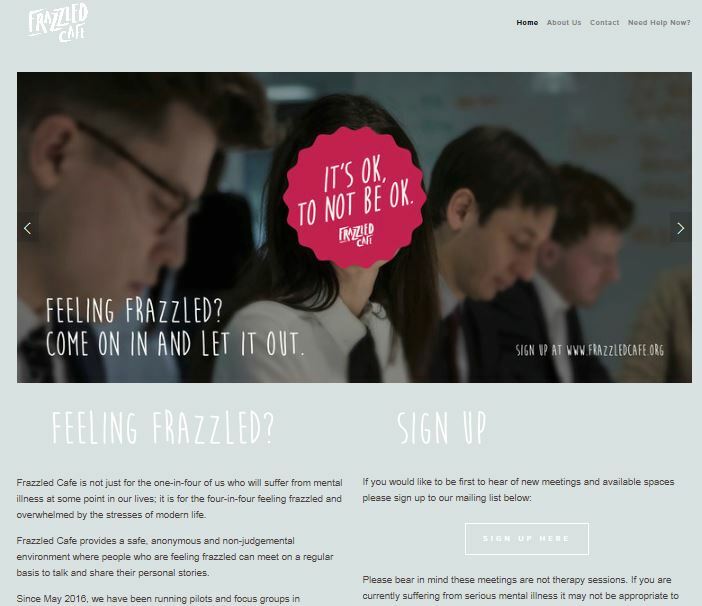 Frazzled? Struggling with mental illness? Have a cup of tea and talk. 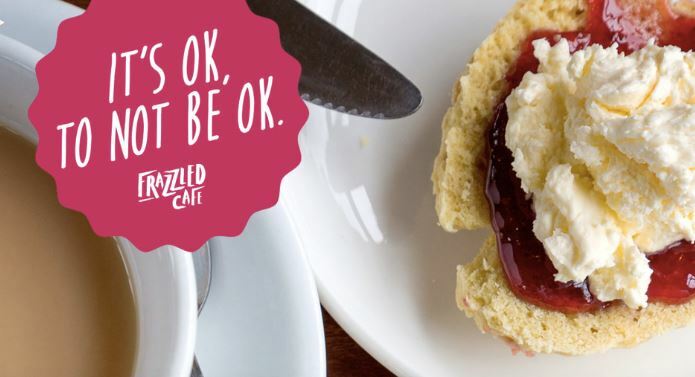 In the U.K., the famous venerable retailer, Marks & Spencer, has teamed up with a comedian, Ruby Wax to convert their cafes on Fridays to places where people are encouraged to discuss their mental illness…talk and tea therapy.. It is called “Frazzled Café”. Minus stigma nor judgment, come and talk. .Of course humans are very resourceful.Telehealth is playing a role by creating remote workers who have an M.S. in psychology or social work — but by law they cannot prescribe. Minus psychiatrists, this is a good substitute since talk therapy is an effective way to manage mental illness. But it is only half the answer. Visit the site. The crowdsourcing element and Ruby’s words are good reading. Amazon Go is a new kind of store with no checkout required. Amazon has created the world’s most advanced shopping technology so shoppers never have to wait in line. With Amazon’s Just Walk Out Shopping experience, simply use the Amazon Go app to enter the store, take the products you want, and go! No lines, no checkout. By eliminating much of the staff needed to operate a store, Amazon keeps costs lower than traditional competitors. It’s also in a strong position to bring together data on its customer’s shopping habits online and offline to make better suggestions in all situations. The experiment could also be seen as a new technology platform that Amazon could offer retail businesses after working out all of the kinks. Similar to the way Amazon Web Service provides hosting for sites like Netflix and Adobe, Amazon Go will provide patent-protected technology infrastructure for “self-shopping” brick and mortar stores. We knew it wouldn’t take Amazon too long to connect its streaming service with its shopping genius. So here it is, Style Code Live, a daily 30-minute streaming entertainment and shopping show that claims to be this generation’s answer to TV shopping. Goodbye, QVC. Hello, content shopping. We’ve seen social titans Pinterest and Instagram successfully play with social shopping. This evolution signifies where it’s headed. Content will no longer just be layered with connection to product and services, but will envelop simple product selling into narratives and ongoing storylines. Accessibility is a key issue in healthcare. No surprise the titan of retail access, Walmart, is tackling the issue and looking to define its place. Walmart is quietly testing and extending wellness programming in-store and online, looking to become the chief destination of retail health and wellness, service and lower cost primary care options. Business insiders are predicting Walmart’s presence here as a major disruption in the U.S. healthcare system. CMI wrote of the news: In addition to making healthcare and healthier food more affordable and accessible, the retailer is focusing on preventive care and supporting overall well-being through in-store events, online education and an expanding array of healthy products and services. Walmart offers over 1,700 organic products, with nearly 10% in the produce aisle, and has been quietly opening its Care Clinic model across several markets, including Texas, Georgia and South Carolina. 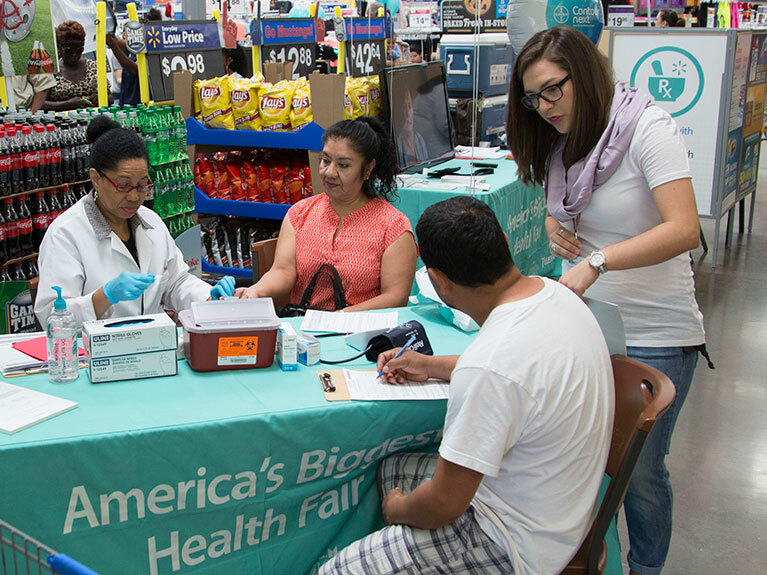 The Walmart Care Clinic aims to be a primary medical provider offering diagnosis and treatment of chronic and acute illnesses, as well as preventative services, such as immunizations, physicals and other health screenings. Placemeter is a TechStars alum that helps institutions measure exact foot traffic in or near their buildings by sensing movement. Paired with a sensor, live IP camera, or recorded video, Placemeter can track data in real-time and store to its cloud for immediate access in dashboard or downloadable files. Placemeter can measure volume of vehicle and pedestrian traffic, walking directions and store visits, and lists its primary usage for retail and municipal entities. Why It’s Hot: There are so many interesting applications to this device for brands as it instantly connects physical movement to digital. With Placemeter, you can detect potential effectiveness of drive-to-retail campaigns more immediately, evaluate real estate potential, gauge the success of store displays, and generally have more tangible data that demonstrates results of marketing efforts. The fashion brand unveiled a massive screen designed to show off specially tagged Instagram shots. But it’s not a digital screen—in fact, the “pixels” on this screen are made entirely out of 1.5 inch-wide thread (ribbon is probably a more apt term) that rotate around to create a fabric tableau. F21 Thread Screen goes live July 22 and will run 24 hours a day for a week to support the brand’s back-to-school “Tried and True” campaign (which is all about cherishing your best friend). BFFs around the world are encouraged to tag Instagram photos with #F21ThreadScreen to have their images displayed. The entire thing is being live-streamed, and each image on the screen will be cut into a short video, sent back to the hashtager for them to share. Have you ever seen someone walking down the street and really admired their clothes or shoes and thought, “I want that”? With the new app called Crave that went live to the public on Tuesday (it’s a free download on iTunes), you can now snap a photo of the clothes you see and crave in your everyday life, and it will pull up visually similar results in seconds, then you can purchase the item directly on the app itself. There have been other applications on the market in which you need to scan a barcode to compare prices but this requires no barcode scanning– instead it just analyzes a photo in order to help consumers find things that look like the item in the picture. “These photos can be snapped right from the Craves app, or they can be uploaded from the phone’s Camera Roll,” says the article. Craves features clothing from a variety of stores at the moment from department stores to boutiques (Nasty Gal, Saks Fifth Avenue, Lord and Taylor, ASOS, Signer22, Coach, etc.). When a user makes a purchase through the app, Craves receives affiliate revenue but they hope to expand to other revenue systems in the future. There is also a social component to this app, shoppers can follow friends and influencers and also browse through trending items and favorites and receive sale notifications. Read more about Craves Here. With fashion and technology growing at a rapid pace many retailers understand the need for them to get smarter and learn new ways to use mobile phones to their advantage. Many retailers like Nordstrom’s are doing just that by rethinking the offline shopping experience to meet the needs of mobile shoppers. The giant retailer launched the very first texting app to let shoppers buy shoes, clothes and other products suggested via text messages from in-store sales associates. 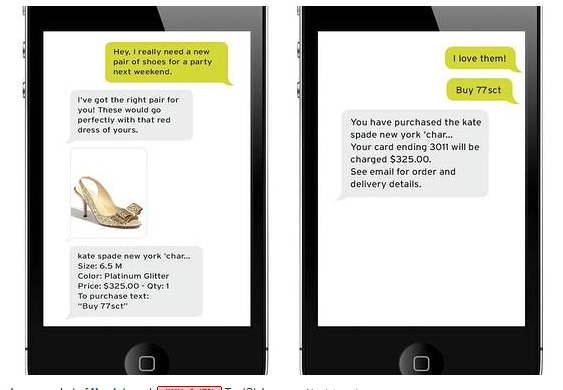 With the TextStyle messaging app a salesperson can chat and share images with customers who opt in to the service. Customers can buy a product immediately by texting a unique code to Nordstrom. Nordstrom has always prided itself on cultivating a close relationship with its sales associates and customers. This is the next step in creating great personal service and the opportunity to buy with the convenience and simplicity of a text message. Nordstrom’s is currently the only retailer in the U.S. that offers customers who opt in the ability to shop and buy with a text message. 1. UberEats has officially launched in four cities, including the Barcelona and Los Angeles trial areas as well as two new burgs, Chicago and New York City and that promises to deliver meals to customers in 10 minutes or less. Uber drivers will go to certain approved restaurants, pick up several bags of a single kind of food — say a special sandwich, or a gourmet salad – and then deliver it to anyone who has requested it from an Uber app. Uber will offer a rotating menu of select items from a handful of restaurants in Chicago and New York and charges a flat delivery fee of $3 and $4, respectively, which goes directly to the drivers. 2. TechCrunch has uncovered documents revealing that Uber is currently testing a system where high-end retailers can use Uber vehicles to make same-day deliveries to impatient customers. According to the site’s sources, Neiman Marcus, Louis Vuitton and Tiffany’s are all in discussions to sign up when the program launches. It looks as if the eventual goal is that all Uber drivers will be able to take both human passengers and commercial cargo, with all of the information routed through the same mobile app. TechCrunch goes on to speculate that Uber could be aiming to create a rival to Amazon and eBay that leverages the fact that local stores have stock available on shelves. That way, prospective buyers can spot an item, order it and know that it’ll be transported across town in an instant. Why It’s Hot: Uber has been a company to watch — what will they do next? These expansions make a lot of sense given their core capability, and show an interesting understanding of the urban market. Retailers are tailoring their Web sites and promotions for you. Just you. After years of using customer data to fine-tune their marketing efforts to smaller and smaller groups, retailers are now making a massive and expensive effort to tailor their Web sites and promotions for an even narrower target: an audience of one. Retailers and experts say the industry is in the early stages of a push toward personalization, in which individual shoppers have different experiences on retailers’ websites and receive highly customized e-mails, coupons and special offers. The technology retailers are using now is much more sophisticated: They are studying a wider range of activities — not just the last Web sites you visited — but also whether you opened or clicked on their emails, read a company blog post or previously redeemed a certain kind of coupon. 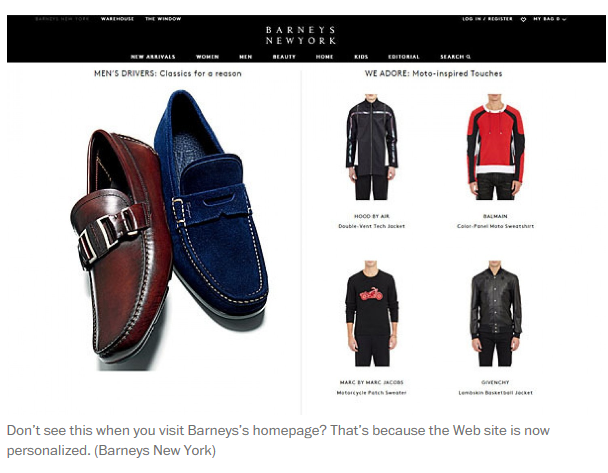 In March, Barneys rolled out a new website in which nearly every page —the homepage, category pages and individual product pages — feature personalized content that is served up based on data from both a shopper’s in-store purchasing and online browsing behavior. “For one million users, we want to have one million different site experiences,” said Matthew Woolsey, Barneys’s executive vice president for digital. This combined analysis of in-store and online patterns is particularly leading edge, industry experts said, as many retailers are still struggling to funnel these data sets together. The unified data can have powerful results. For example, Barneys has learned that many of the women who buy fine jewelry in its stores have previously browsed for it online. If Barneys purely looked at these shoppers’ web browsing history, Woolsey said they might deduce, “She’s never buying anything, so let’s try something else.” In fact, by looking at this shopper’s behavior across channels, Barneys learns it is indeed valuable to keep showing her digital jewelry lookbooks: She’s interested in the products, she’s just closing the deal in person. Some retailers, such as CVS, are also paying attention to what you’re not buying at their stores. CVS’s personalization efforts are centered around its ExtraCare program, which was used by more than 90.8 million households in the last year. Even if you haven’t bought vitamins or toothpaste at their store, their data might still determine you’re a good candidate for a coupon for those products. Retailers are now experimenting with this personalized, digital experience and discovering the potential of this technology. 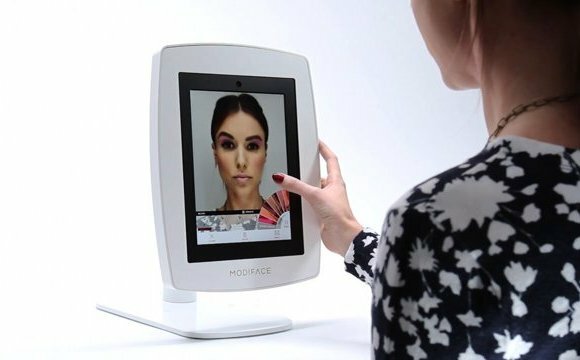 Modiface’s Mirror combines augmented reality and facial recognition so shoppers can see what they’ll look like with different shades of makeup before making a purchase decision. 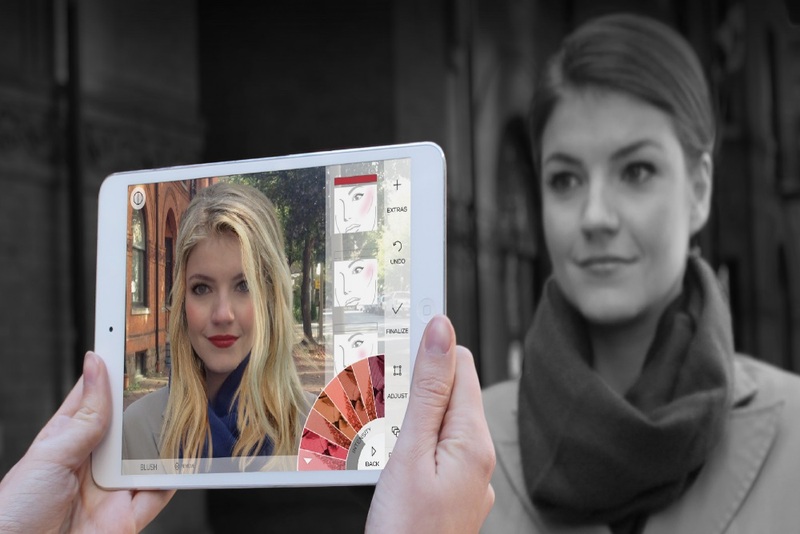 The Mirror combines a 3D live-video feed with a Photoshop-style sampler of more than 2,000 existing products and that maps the shades and textures to a movable, rotatable image of the user’s face. Mirror’s core format is a sales kiosk, a robust and stand-alone version that automatically grabs a browser’s image and attracts their attention with recommended shades and brands. Once interested, the shopper can experiment with various products until the shopper becomes a buyer. The concept is also available as a less robust, but considerably less expensive, app that uses a smart phone’s camera to capture the image. The apps are available for iPhones, Android and most tablets. Mirror also includes an anti-aging mirror that shows the long-term benefits of using various moisturizing and age-reversing products. The featurette shows these effects as a slow progression, demonstrating the gradual effects. 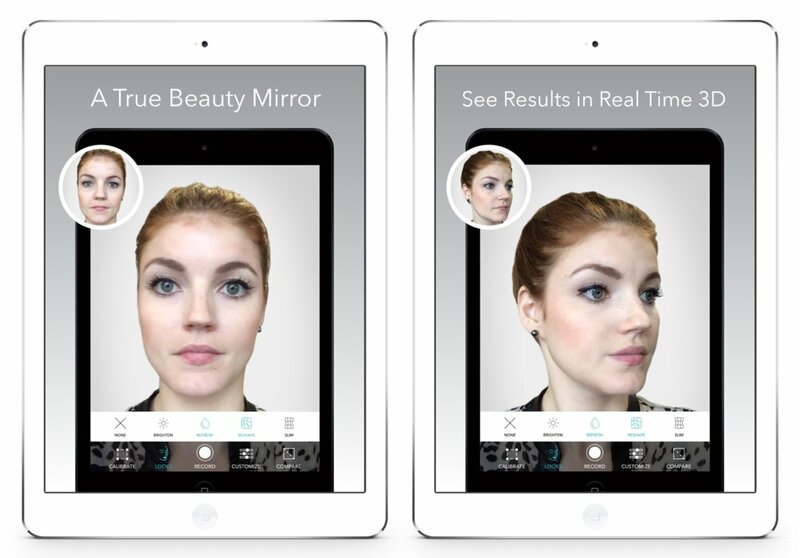 ModiFace began in 1999 with initial research into facial analysis at Stanford University. The work continued through 2006 when ModiFace, Inc was born. Modiface technology has gone on to hold the leading patent portfolio on skin and facial analysis, powering over 150 web and mobile apps with a total of over 50 million downloads as of March 2015. 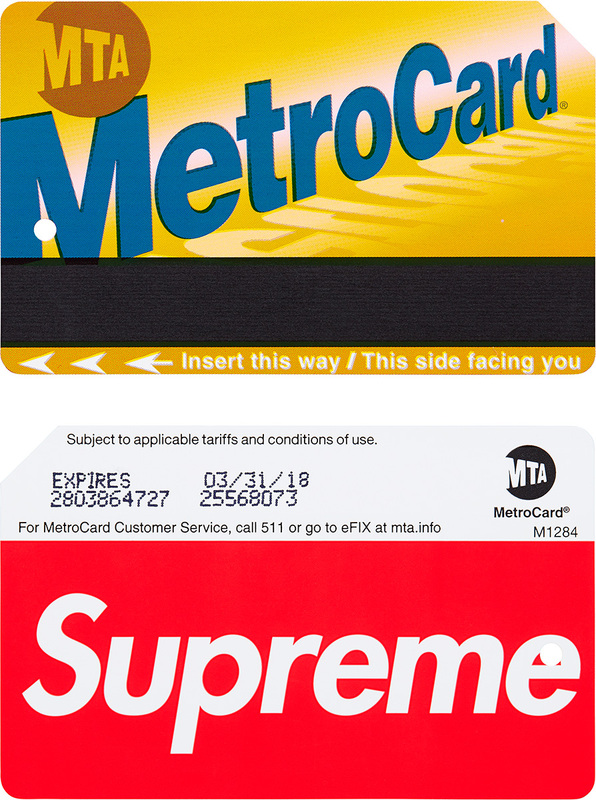 I’ve been paying close attention to retail trends that (1) enable creative sampling in a digital world and (2) connect the digital & physical in useful ways that can encourage purchase. This technology is a great example of both of these trends, and could open the door for even more impactful usage — think pre-surgical previews, impacts of UV exposure and more. 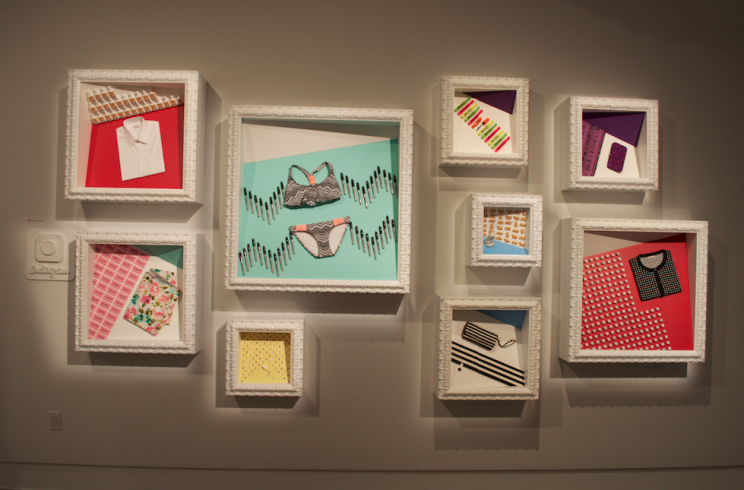 Boiled down, Target has essentially created a physical Instagram experience within the gallery by including a collection of items (Sharpies, bathing suits, clothing and accessories) framed by squares, assorted to look like the type of curated snaps you’d find on the retailer’s own Instagram feed. At a counter in the back, guests can take to interactive screens to design their own iPhone case, tote bag or T-shirt from a selection of red and black Target-made designs. They’re printed on-site and returned, free of charge. 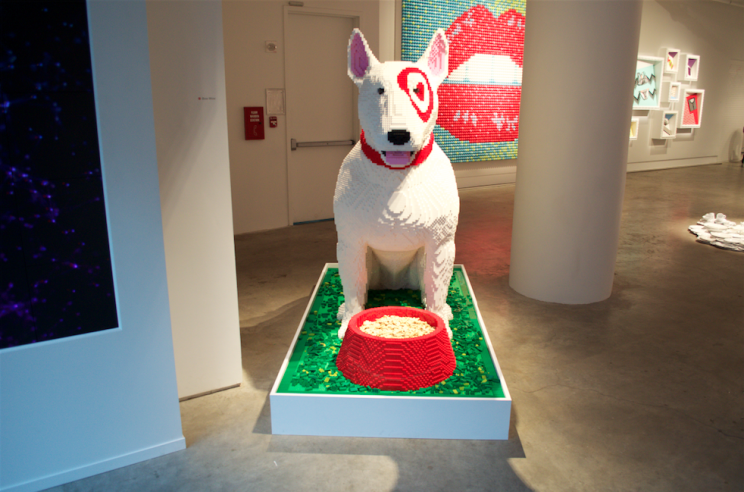 This isn’t the first time Target has tested the waters around press-driving pop up stores. In 2013, a life-size dollhouse took over Grand Central in NYC to show off the new Threshold furniture line. During back-to-school season, Target tapped into the college-student market with “Bullseye University,” a 3D dorm simulation outfitted with Target goods. 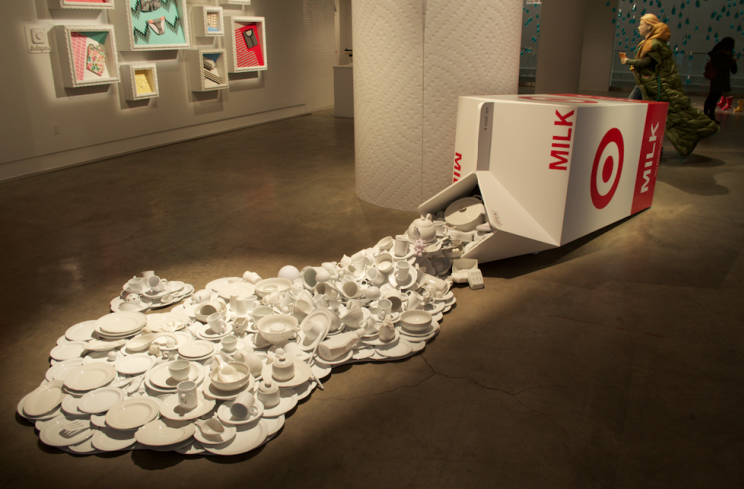 This particular installation is meant to drive home the idea for shoppers that Target has a unique relationship with designers. Not only do they drive buzz around the brand through these real-world executions, but they further reach the niche audience of millennials. Buying clothes comes with expected hesitation. Everyone knows a small for one brand might be a medium for another. To appease customer anxiety, many e-commerce portals offer easy, no-questions-asked returns. However, shopping online still requires plenty of crossed fingers, and frequent returns can mean losses for entrepreneurs. A start-up from Italy has invented a connected measuring tape. The device is called On and was developed by start-up XYZE with one goal in mind: to create a works-with-every-brand size code called the “XYZE ID”. On houses a circular tape that measures seven circumferences from the user. Each measurement step is guided by the custom XYZE app. The tape measure which extends as a single loop allows a person to measure himself-herself without bending around which can ruin the numbers. The On device relays the measurements to a smartphone via Bluetooth 4. The accompanying app will record the numbers and pair it with a username. The idea is that the next time the user shops online, he or she only needs to enter the username to select the perfect sizes. The app by XYZE currently works on iOS but an Android version is also in the works. The app is yet to become available and is meant to be powerful tools for sizing. Special tailoring algorithms will process individual measurements. A database of brand sizing charts will be used to generate what size the user is for each brand. Instead of just matching numbers, XYZE will use measurement ratios to find the perfect fit. The On is available for pre-order on Indiegogo. We see a lot of innovation starting in the retail space — and this is one to which I say “it’s about time.” It’s a much needed solution that could take clothing shopping online to another (comfort) level I could personally get on board with. 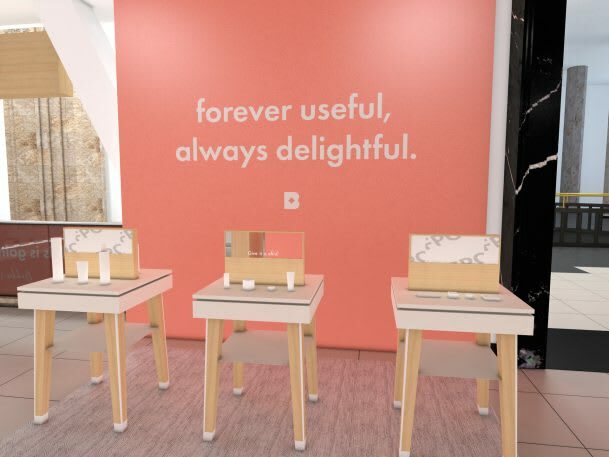 The Neiman Marcus Innovation Lab (known as iLab) has launched their interactive retail table project in three of its major locations in Austin, Chicago and Topanga. 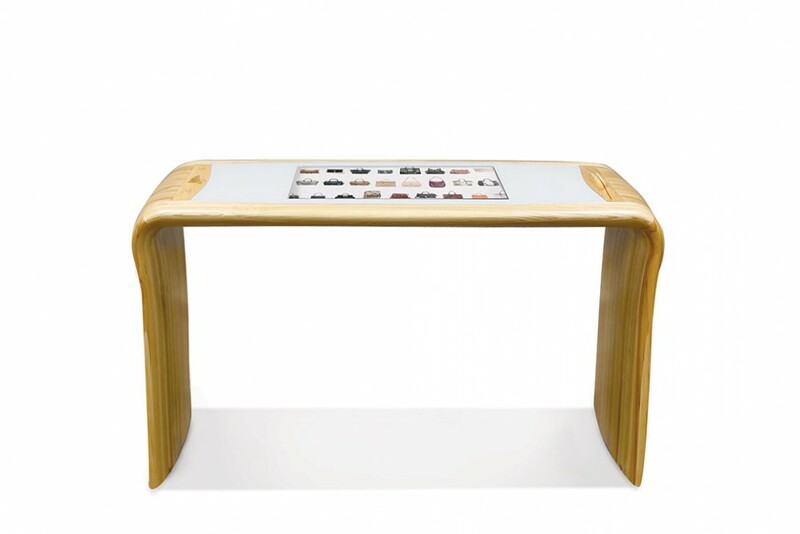 Displayed in each store’s shoe salon, these concept tables are approximately 70” long, 34” tall, and 26” wide and comprise of a clean-cut Ultra HD 4K touchscreen that features a single, continuous pane of glass that changes to fit in with Neiman Marcus’ color scheme. The table’s software enables shoppers to browse and filter Neiman Marcus’ inventory including collections both in-store and online. There’s also a ‘My Favorites for Wishlist,’ that visitors can add items to and request to be emailed the product links should they want to think about their purchase at a later date. There are also benefits for employees as the software includes an up-to-the-minute inventory that presents what’s “coming soon,” and latest trend reports, which means staff can offer accurate, insightful advice as to new arrivals and where the customer can purchase something elsewhere. We’ve been focusing a lot of how digital and physical marketing and user experience come together, and this is a great example of bringing customer expectations to the forefront of the store experience. This has a lot of potential for the “cool factor” as well as data collection, helping customers find what they want, and tracking customers across channels. 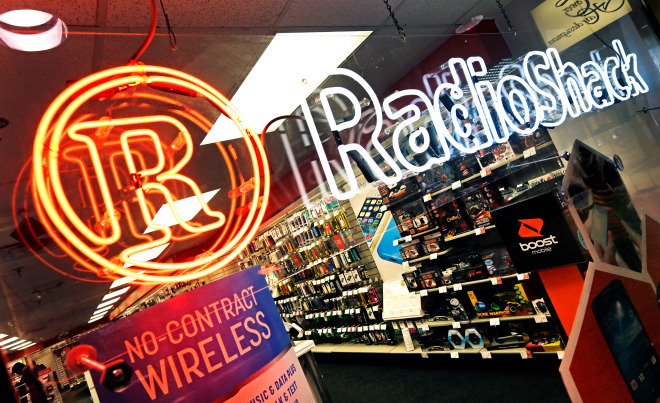 Amazon is in talks to buy RadioShack stores, say recent reports. Amazon may soon take another leap into the world of brick-and-mortar retail. According to Bloomberg, the company has been in talks with RadioShack about acquiring at least some stores from the ailing retail chain. The stores would become showcases for Amazon’s own products, such as the Kindle e-readers and tablets, and serve as pick-up and drop-off sites for Amazon customers. RadioShack is on the verge of declaring bankruptcy, and according to other reports, it has also been in talks with wireless carrier Sprint about selling some of its stores. The deal with Amazon may not happen, but nonetheless, it shows where Amazon is headed. The possible move, discussed as part of RadioShack’s looming trip to bankruptcy court, would represent Amazon’s biggest push into traditional retail. To head off competition from Wal-Mart—one of the few retailers that could pose a legitimate threat to Amazon—and to expand its operation, the company has adopted a new hybrid business model, combining e-commerce with offline services. To head off competition from Wal-Mart—one of the few retailers that could pose a legitimate threat to Amazon—and to expand its operation, the company has adopted a new hybrid business model, combining e-commerce with offline services. The social network famously known for its disappearing pictures and youthful user base has seen exponential growth across all demographics. Its privacy-conscious user base loves the ephemeral aspect of Snapchat and up until recently, Snapchat had no formal advertising unit. The use of Snapchat for business doesn’t have to be reserved for those brands willing to shell out sums of cash for the exclusive ad units. Smart retailers can take advantage of the platform’s uses, benefits and unique features to drive store visits, increase brick-and-mortar sales and boost customer engagement. Here are some methods that retailers of all sizes can employ to kill showrooming in their stores, take back control of the retail experience and increase sales as a result. Retailers can use Snapchat to send consumers a coupon snap. This snap could be for 10%, 25% or 100% off an item — the amount unknown to the user — and the perishable nature of Snapchat requires the user to open the snap at the register (or burn their lone replay) in order to redeem the offer. This requires the consumer to pick out an item, take it to the register and then open the snap. Remember, consumers are at the point of purchase looking to cash in on their offer, so even if the coupon is for the lower amount, are they really going to walk out of line to put the item back, after they have fallen in love with it? Regardless, you have just obtained that store visit, which could equate to sales. Every marketer loves gamification. Want to launch a limited-edition item that is highly sought-after by your consumer base? Why not establish a “scavenger hunt” around your store through Snapchat. Send a snap of landmarks around the area the exclusive product is located in and allow your consumers to try and find the secret item. Your consumers will need to remember the location of the snaps and stay glued to their app for the next updates. Beacons and Bluetooth Low Energy have equipped retailers with a powerful tool for understanding the success of their in-store signage, displays and endcaps. But Beacons and BLE working in conjunction with Snapchat could also help combat showrooming. When a customer enters a store (or approaches a designated area of the store), retailers could send a snap to the consumer with a special coupon or offer, valid only during their visit. Through preemptive cross-promotion on other social platforms, retailers are able to create a sense of anticipation for the consumer and require them to make a seemingly unplanned visit to your store. If you are a retailer launching a highly anticipated item, why not send snaps to your customers showing the in-store arrival of the anticipated item (boxing, shipment, arrival, etc.). This adds to the heightened awareness and forces your consumers to plan the journey to the retail store in order to purchase the item. This also works for restaurants, bars, etc., featuring new items. Want your customers to show off how they look in your new collection? Want them to show their friends the delicious entrée they just ordered? Have your customers send snaps to their friends (and your brand profile) with their friend’s Snapchat handle and they will receive a snap back for a coupon, as well as the friend receiving a coupon for their next visit. Retailers willing to utilize creative methods to drive attention to their brick-and-mortar footprints, without cannibalizing their online efforts, are going to position themselves for sustained growth. Snapchat offers a creative and untapped opportunity for brands to interact with consumers on a more personal level, as well as offer a creative digital marketing alternative to the interruptive nature of banner ads and native advertising. The in-social listings include up-to-date information on product availability, and pricing from the seller’s Etsy page. By clicking the “Buy” button on the post, consumers are immediately led to the seller’s Etsy shopping cart for checkout. Read more on Mobile Commerce Daily. Why It’s Hot | Over the past year, we’ve seen many brands dabble in social commerce, but no efforts have seemed to catch on or stay in market for long. Etsy has become a worldwide phenomenon with their success, leading the space for artisan marketplaces, and it will be interesting to see if they can leverage that popularity to open the door for brands to engage in social commerce as a more mainstream media. $4.1 billion in Q1 2014– up 20% and rising fast. Very quietly, Apple is maneuvering for real innovation in ecommerce/mobile commerce. 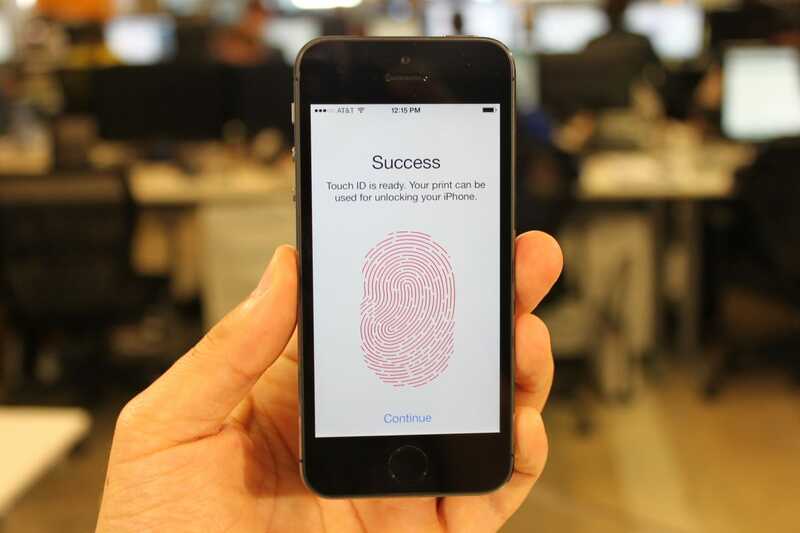 Volume alone isnt enough– but Touch ID, ibeacon and ApplePay are connecting the dots between retail and mobile at the individual user level. As they roll out iBeacon, Apple will be able to track individual retail behaviors on mobile, in-store and transactions. Apple has the platform, the connectivity and the security to enable commerce and tracking as few can manage.